It is best fished in the winter on Di lines. Retrieving gently and pausing so Booby to pop up off the bottom. Because it contains a foam back as well as foam eyes it rises on a level plane and much quicker than a normal Booby. Thus allowing the Trout to see more of its irrisitable movement. In the warmer months fish it on or just below the surface with a faster retrieve and the fish will ponce on it! It does not spin like the normal Booby because of its shape there fore is ideal for pulling in competitions without kinking your leader. Steve Bye invented the Shellback Booby and it has caught 100's of Trout and quite a lot in double figures. 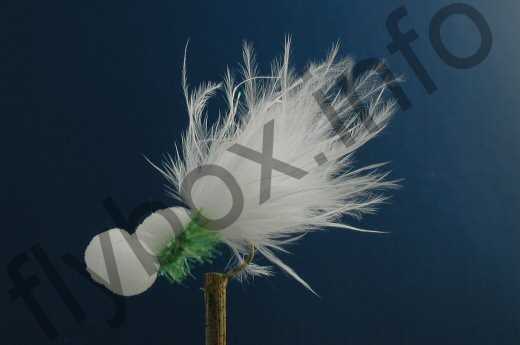 Currently there are no comments about the Shellback Booby Green fly pattern from other fly fishermen yet.